The Shahab-3 is a medium range ballistic missile modeled after the North Korean NoDong. The Shahab-3 has a maximum range of 2000km (1,242 miles), making it capable of striking targets beyond its immediate border regions. The Shahab-3 is liquid fueled, and typically carries a single warhead payload of 1,200kg. Although currently armed with conventional high explosive warheads, they are likely also capable of carrying nuclear warheads. As a road mobile system, the Shahab-3 can be launched from any location. Capable of hitting targets as far as Romania and northern India from Iran, the Shahab-3’s range makes it a significant threat to the security of the greater Middle East and Southeast Europe. Its current range is 2000km, but the Revolutionary Guard has publicly said that could be increased if necessary for strategy and defense purposes. 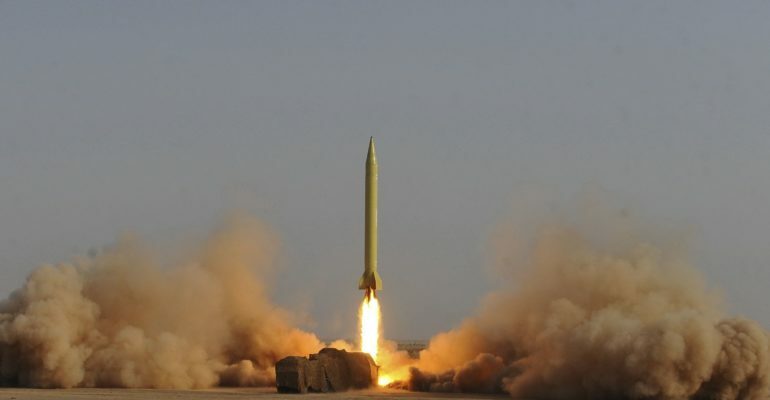 The missile is capable of striking Israel, and Iranian officials have publically stated Iran’s intent to do so. The Shahab-3 holds all of Israel within its strike radius, with the missile’s precision rendering it capable of strategically striking Israel’s critical infrastructure and large cities. However, Israeli officials have asserted that despite the Shahab-3’s precision, the missile can be intercepted by Israel’s Arrow Three missile defense system. There is no evidence that Iran has transferred Shahab-3’s outside of Iran. Ballistic & Cruise Missile Threat. National Air and Space Intelligence Center, 2013. Accessed April 17, 2014.http://www.afisr.af.mil/shared/media/document/AFD-130710-054.pdf. Missile Threat. “Shahab 3.” Last modified April 17, 2013. http://missilethreat.com/missiles/shahab-3/. GlobalSecurity.org – Reliable Security Information. 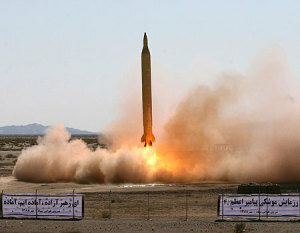 “Shahab-3.” Last modified May 10, 2010.http://www.globalsecurity.org/wmd/world/iran/shahab-3.htm. Cordesman, Anthony H., and Adam C. Seitz. “IRANIAN WEAPONS OF MASS DESTRUCTION: Capabilities, Developments, and Strategic Uncertainties.” Center for Strategic and International and International Studies: Burke Chair in Strategy (2008): 19-20. Accessed April 16, 2014.http://csis.org/files/media/csis/pubs/081015_iran.wmd.pdf. “Iran Says Shahab-3 Missile Entirely Iranian, Production Ongoing.” Space News (Tehran), May 5, 2005. Accessed April 17, 2014. http://www.spacewar.com/news/iran-05o.html. Zitun, Yoav. “‘Shahab-3 missile no cause for concern’.” ynetnews. Last modified November 5, 2011.http://www.ynetnews.com/articles/0,7340,L-4144096,00.html. Somflavi, Attila. “Official: Hezbollah attack more dangerous than Iran missiles.” ynetnews. Last modified August 6, 2012. http://www.ynetnews.com/articles/0,7340,L-4265026,00.html.